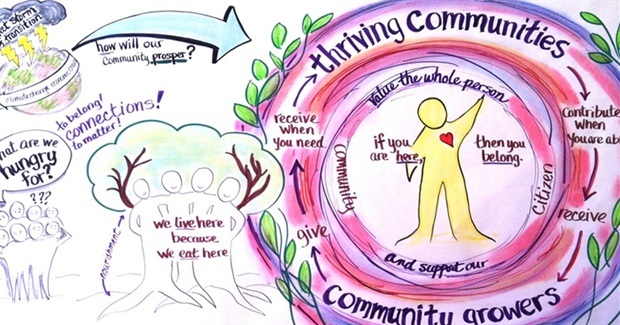 This collection of books, online resources, trainings and courses was assembled by members and allies of the Thriving Resilient Communities Collaboratory (TRCC), who share a vision of a world that is sustainable, just, compassionate, and healthy. Enjoy the journey, and let us know what tools you discover or invent that might help others by emailing info@resilience.org. The first you tubbies are movies by Transition Network UK, about the transition toward a community sense in practice. For example by inviting your neighbor to join hands in recycling domestic litter or guerilla gardening in the neighborhood. ‘In Transition 1’ is the first detailed film about the Transition movement filmed by those that know it best, those who are making it happen on the ground. The Transition movement is about communities around the world responding to peak oil and climate change with creativity, imagination and humor, and setting about rebuilding their local economies and communities. It is positive, solutions focused, viral and fun. In the film you'll see stories of communities creating their own local currencies, setting up their own pubs, planting trees, growing food, celebrating local-ness, caring, sharing. You’ll see neighbors sharing their land with neighbors that have none, local authorities getting behind their local Transition initiatives, schoolchildren making news in 2030, and you'll get a sense of the scale of this emerging movement. It is a story of hope, and it is a call to action, and we think you will like it very much. It is also quite funny in places." "In Transition 2.0 is an inspirational immersion in the Transition movement, gathering stories from around the world of ordinary people doing extraordinary things. You'll hear about communities printing their own money, growing food, localising their economies and setting up community power stations. It's an idea that has gone viral, a social experiment that is about responding to uncertain times with solutions and optimism. In a world of increasing uncertainty, here is a story of hope, ingenuity and the power of growing vegetables in unexpected places"
This third tubby is a teaching by Joanna Macey, in close encounters with the Transition Network UK, this is in 17 parts, a heartfelt presentation. I do hope you'll enjoy this. "The Work That Reconnects (WTR) is a workshop series that explores how to evoke creative, compassionate and transformational responses to the ecological crises of our time. Drawing from deep ecology, systems theory and spiritual traditions, the Work That Reconnects builds motivation, creativity, courage and solidarity for the transition to a sustainable human culture. First emerging in 1978, this pioneering, open-source body of work has its roots in the teachings and experiential methods of Joanna Macy. Eco-philosopher Joanna Macy, Ph.D., is a scholar of Buddhism, general systems theory, and deep ecology. A respected voice in movements for peace, justice, and ecology, she interweaves her scholarship with four decades of activism. She has created a ground-breaking theoretical framework for personal and social change, as well as a powerful workshop methodology for its application. For more information about Joanna, including her workshop schedule, please visit her website: http://www.joannamacy.net." A beautiful movie with some sadness, lots of inspiration in how to express love for nature in an urban area. behind his tenement home. By 1986, The Garden of Eden was world famous and had grown to 15,000 square feet. of this artwork and its ultimate destruction. Winner of the "Neighborhood Award" at the Lower East Side Film Festival". 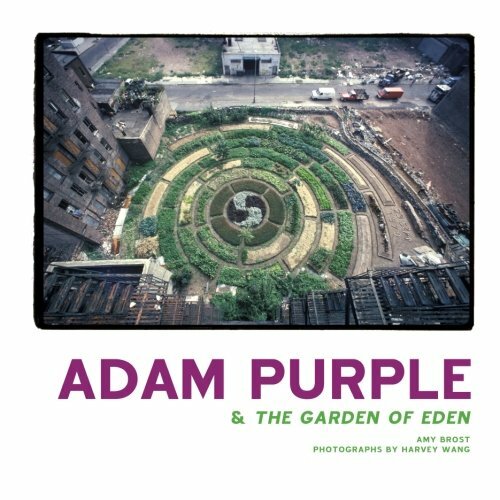 It would've been better to kill me and not the garden" is what Adam Purple said, after the garden of Eden was gone.